Chris provides leadership working strategically with every NTP Events project team to ensure outstanding customer service. Chris continually strives to enhance NTP Events’ internal processes and procedures while overseeing and managing the implementation of multiple events, programs and initiatives, following each show’s mission, meeting objectives and seeing that financial goals are achieved. Chris ensures his teams meet strategic goals, stay on schedule, on budget and on message. Chris previously held roles of Corporate Vice President, Show Director, Director of Marketing and Marketing Manager. Prior to joining NTP Events, Chris worked as an Account Executive at CSG Creative where he managed direct mail, print, advertising and Web-based marketing projects for various CSG clients. He also served as Show Program Coordinator at The Vision Council where he developed and implemented a multitude of attendee/exhibitor promotions and events designed to increase attendance and exhibitor satisfaction for the International Vision Expos. 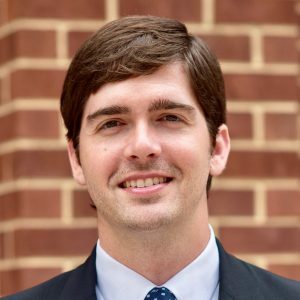 Chris holds a BBA in Marketing from James Madison University and was a participant of the International Association of Exhibitions and Events (IAEE) Krakoff Leadership Institute in 2008. As a member of IAEE, he served as a member of the Awards Committee from 2010-2013. Chris completed leadership training at the Bell Leadership Institute in Chapel Hill, North Carolina and has achieved Villanova University’s Master Certificate in Organizational Leadership. I picked up my driver’s license, got in my car, then promptly crashed my car into a wall after picking up fast food from a Wendy’s drive-through. The Paul McCartney World Tour – 1989. My Nana’s 1988 Chevy Caprice Classic. It was like driving a boat with two rows of velour couches. When you put it in Drive, it would continually accelerate without ever having to hit the gas pedal.